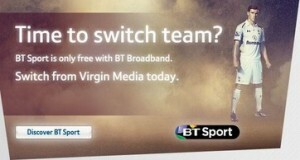 New sports TV channel, BT Sport have revealed that just 3 months after launching they have gained over 1 million users. 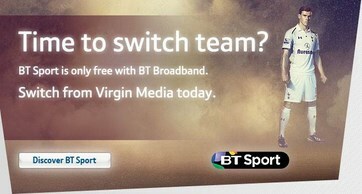 Although it probably helps that BT broadband subscribers get the SD channel for free, the numbers are still impressive. The channel which is seen as a threat to Sky Sports is available for £15 per month, or as a free bonus to BT broadband customers who get a standard definition channel plus online sports streaming for free. The telecoms giant launched the channel to keep customers from choosing rival broadband packages, but have spent a massive amount on broadcasting rights. The cost for sports including Premier League football, UEFA Europa League and matches from USA, Scotland, Italy, France, Germany, Brazil and Australia is said to be over £1 billion. Speaking about the subscriber numbers John Petter, consumer managing director for BT said, “To have a million households onboard before the Barclays Premier League has even begun is terrific. We said we would return sport to grass roots fans and they are cheering in large numbers.”He continued, “We always said that BT Sport would help us retain and attract broadband customers and that is proving to be the case. We are rewarding our customers for their loyalty and the strategy is working. 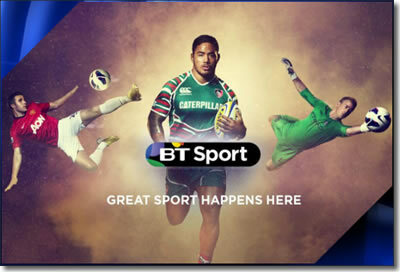 BT Sports channels can be watched via a Sky HD set-top box, using BT TV service or using the BT Sports app. Media regulatory body Ofcom have this week offered a potentially crucial precedent in the broadcasting industry of the UK, after declaring that satellite broadcasters Sky, due to their Sky Sports range of channels, are well within their rights to refuse to carry advertising for soon-to-be competitors BT Sport. The decision follows complaints by BT that their fair attempts to try and put commercials on Sky-branded channels were being denied, but it appears as though Ofcom are not in their corner, albeit leaving a ruling that any broadcaster (BT included) should now feasibly be able to take advantage of. The organisation also claimed that the preservation of Sky’s rights will not have a major impediment on BT’s attempts to target customers in the ‘ABC1 men’ demographic, calling the impact from not advertising on Sky ‘limited’ at best. However, Ofcom are not yet done with adjudicating between the two, after BT recently offered a complained that Sky are ‘refusing’ to offer their Sky Sports 1 & 2 channels ‘on fair terms’ to the ‘BT-branded’ YouView service (but are seen on other YouView boxes such as those provided by TalkTalk), claiming that the larger service are not permitting broadcast on BT set-top boxes unless BT ‘offers Sky’ their BT Sport channels. While Sky have denied the accusations, it is clear that this debate (and likely many more to come) will not go away quickly, but will BT’s standing ground be worthwhile by claiming a sizeable market share over the next few years? The deal announced today (25 January) sees ESPN’s ‘UK & Ireland TV channels’ (ESPN and ESPN America) now become a part of BT Group and the company’s sports packages effective as of 31 July, including all current ESPN sports rights such as numerous football competitions (including the UEFA Europa League, FA Cup, Clydesdale Bank Scottish Premier League, Bundesliga, and the Eredivise) and American sports. The latter rights will all be merged into one ESPN channel as a cost and space-cutting measure, leaving ESPN America and the ESPN Classic channel both facing extinction once the takeover comes into effect. While ESPN will naturally be available on BT Vision services as a new part of the ‘BT Sport umbrella’, its continuation on other platforms such as Sky and Freeview (TopUp TV) is currently unconfirmed. Set to relocate to a new home with BT Sport at the Queen Elizabeth Olympic Park in the London borough of Stratford (England), will this union of sports networks be a happy marriage? Upcoming UK sports channel BT Sport have revealed their plans to take on a segment of the currently redeveloping Olympic Park in London (England), with the Olympic Broadcast Centre set to be confirmed as the ‘production hub’ for the sports network, set to launch next year. 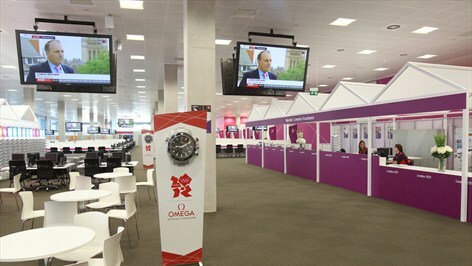 While the channel had already recruited at least two high-profile people from broadcasting the 2012 Olympic Games to their new sports effort (BBC sports presenter Jake Humphrey and the BBC’s ‘London 2012 Head of Production’ Jaimie Hindhaugh), the pair (along with any others recruited and appropriate workers from 2012 Olympic Games and Paralympic Games sponsors BT) will have an opportunity to return to the Olympic Park (now known as the ‘Queen Elizabeth Olympic Park‘) in its ‘Legacy’ phase. During the summer’s major sporting events, the International Broadcast Centre and Press Centre was the working home of 28,000 members of the media, with the site, which was afterwards handed to new owners iCITY, now in the care of new 10-year lease holders BT, who have signed a contract with iCITY to become the ‘anchor tenant’ of the buildings. The property, which is to become the home of all BT Sport channels, will include 3 TV studios, 20 edit suites, a control centre, and an ‘audience holding area’, and with such a large-scale investment is due to become the main production and broadcast hub for the sports content aired by the new channel, though BT have already confirmed that some responsibilities will be transferred elsewhere in the capital city, to the 189m-tall BT Tower. Claiming that they will begin life at their new broadcast centre on 1 February 2013, ahead of the rumoured summer launch-date, will BT’s efforts to benefit all parties with an Olympic Park legacy be a successful one?